1.) Dress Entry Numbers: 359, 360, 361. 2.) I was looking for a way to get myself motivated to keep working on art. This contest seemed to be a good outlet after my family suggested I do it. 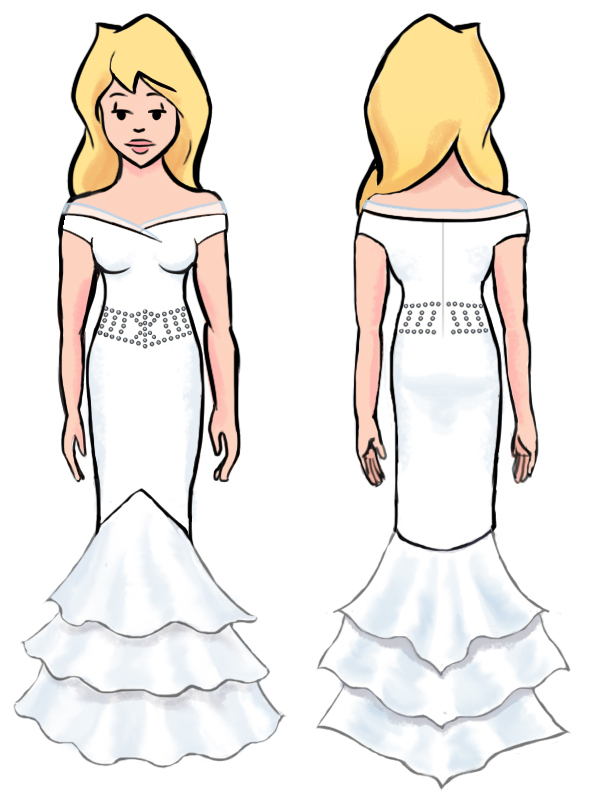 I already enjoyed designing wedding dresses for fun because there’s something interesting about how varied the styles are.3.) The first source of inspiration was Toni herself. 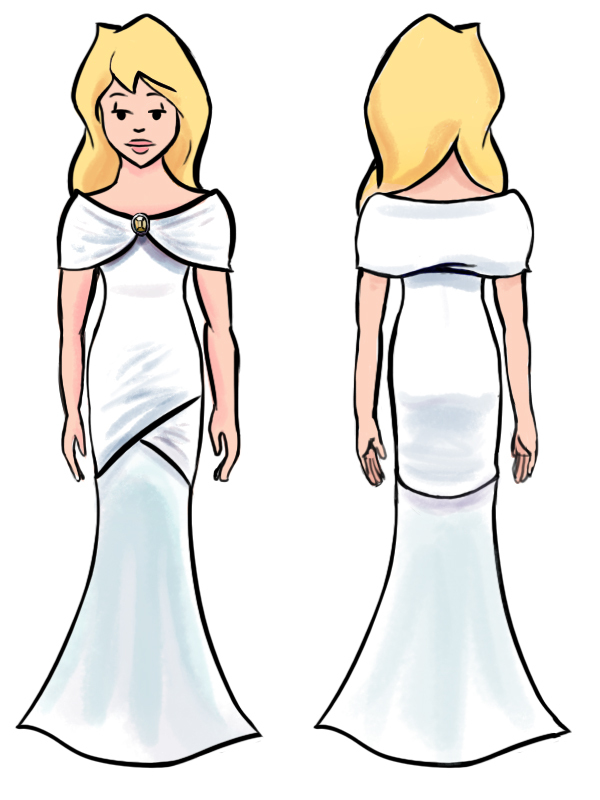 I noted she wore off-the-shoulder or V-neck shirts which were form-fitting, so I thought something simple that hugged her figure would be suitable for her rather than a poofy or overly-embellished dress. Design 359 is based on the fact the wedding will be in December, so the snowflake motif in the beading seemed to be appropriate. Design 360, the simplest out of the trio, is partially inspired by a comic featuring Toni’s great-grandmother’s ring, which had an Australian fire opal in the center, and I used the color for the clasp. 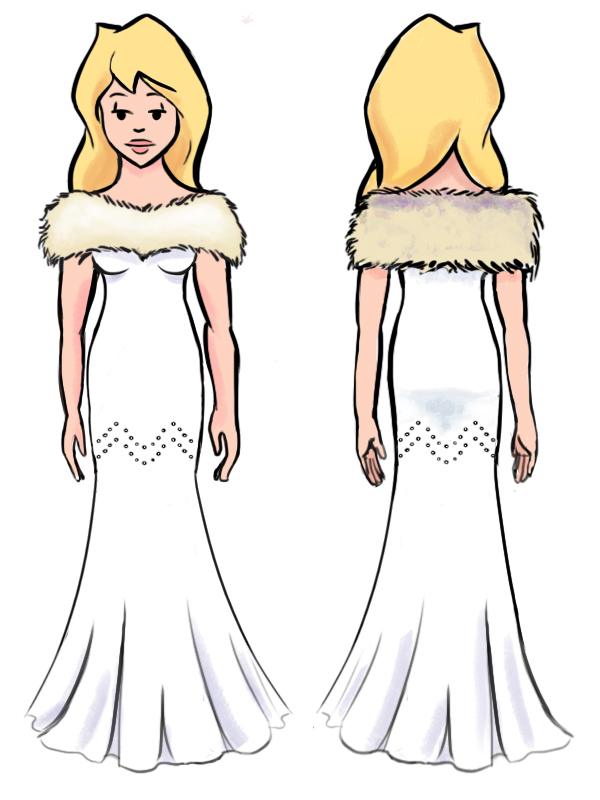 Design 361 is also based on the winter theme for the wedding with the use of fur (don’t worry, it’s fake).